Runs in relation to the time the task is completed. 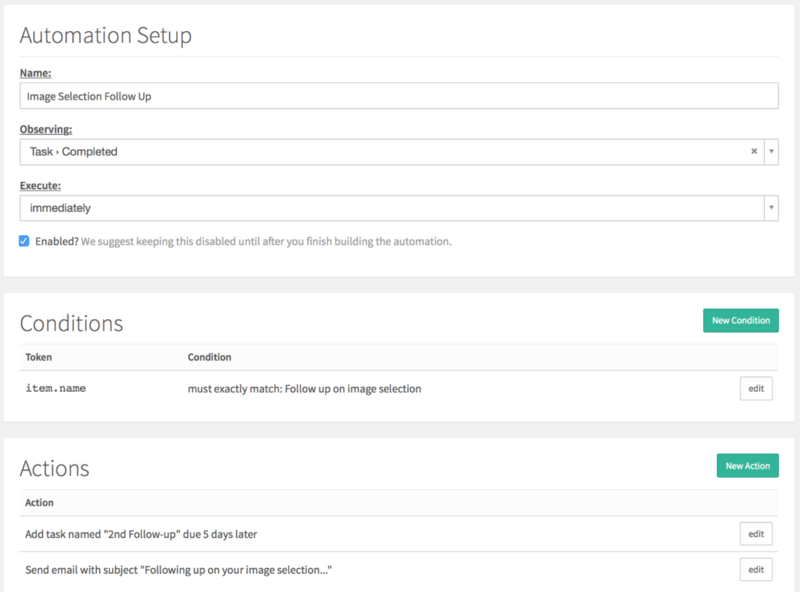 If you’ve been using Workflows in Táve, an automation observing Task › Completed will be super useful. Since workflows are based on tasks, you might want to trigger something to happen once you check off something for your task list. We've installed an example for you in the template gallery to start with, but read on for directions on how to make your own! 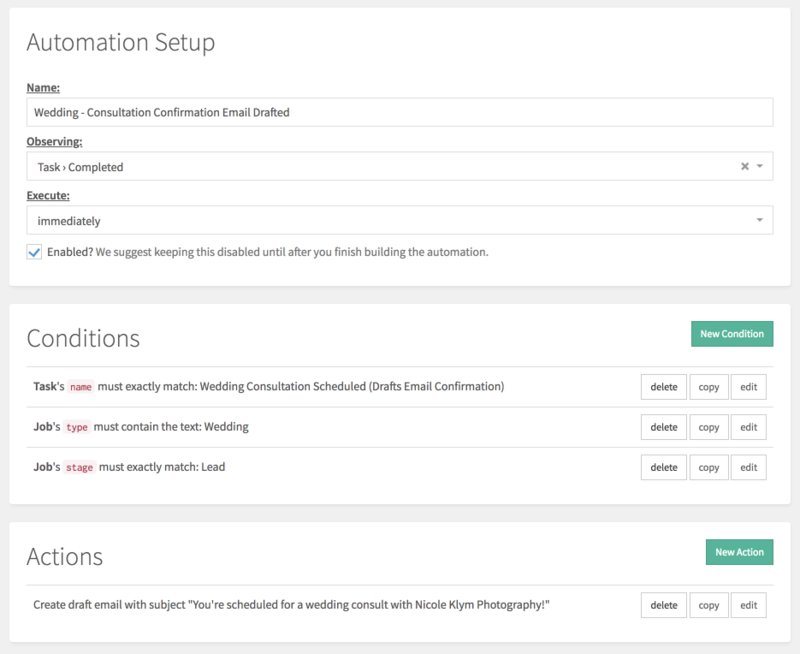 In the example below, I’m triggering an email confirmation to go out to a wedding lead when I've checked off a task related to me scheduling their consultation on the lead's schedule.